Our goal here at Spring Meadow Veterinary Clinic has always been to assemble a veterinary health care team committed to providing exceptional client service and veterinary health care. The Spring Meadow Veterinary Clinic team displays an unrivaled commitment to our clients through continuing education, technological advances in veterinary medicine and service, and most importantly, administering compassionate care to all pets entrusted to us. A 1994 graduate of The Ohio State University College of Veterinary Medicine, Dr. Lahmon has practiced mixed animal medicine in the area since graduation. She purchased Spring Meadow Vet Clinic in September 2006 from Doctors Roger McInturf and Gerald Mast. Dr. Marnie has become known for her goat medicine, and enjoys not only the large animal medicine but the small animals as well. Dr. Lahmon has a special interest in surgery, dentistry and senior pet care. Her hobbies include gardening, cooking and spending time with her husband Dave (McClure) and stepson Christopher. Her pet family includes a dog named Skippy, a dexter cow, several cats, chickens, and goats. Dr. Stout grew up on a dairy farm in Jane Lew, West Virginia. He received his B.S. in Animal Science from The Ohio State University in 1996 and is a graduate of The Ohio State University College of Veterinary Medicine. He has a strong mixed animal background but his professional interests are small animal medicine and surgery. Dr Adam is married to Lisa Stout, DVM. They have two children, Marissa and Austin. They have 5 cats, 2 chickens, 2 rabbits, 2 goats and a goldfish. In his spare time, Dr. Adam enjoys hunting and fishing and spending time with family. Dr. Schwan grew up in a small farming community in Northeastern Indiana. 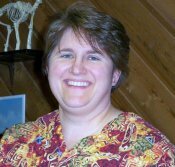 She recieved her BA from Goshen College in Goshen, Indiana and received her DVM from Ross University School of Veterinary Medicine in 2008. 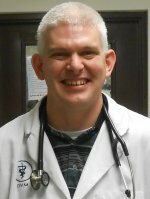 Dr. Schwan enjoys small animal medicine, surgery, senior pet care and dabbling in exotic medicine. In her free time she enjoys hiking, gardening, reading and spending time with family & friends. 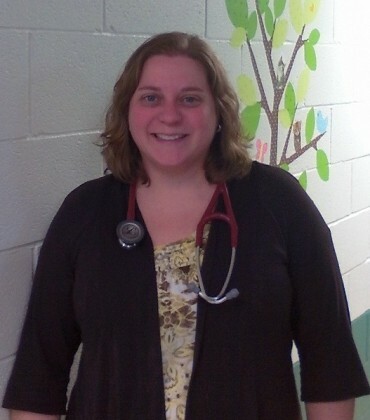 Some of you may recognize her as Dr. Lynn as she was a part of our team from 2008 to 2013. Dr. Lisa's pet family includes two Boston terriers Lillie & Fred. Copyright © 2019 Spring Meadow Veterinary Clinic.